I made this potato jackets for my weekend.It tasted delicious with cheddar cheese and yogurt.Kids enjoyed it very well. Preheat the oven 160C fan. Prick the potatoes with a fork and apply oil,salt and pepper allover to it and place it in the oven for 1hour or until cooked. Heat a pan with oil and fry the onions for 2 minutes. Halve the potatoes and scoop the flesh into a medium bowl, leaving the skins intact. Mash the flesh with the yogurt,onions and season. Pile the mixture back into the potato skins. Place on a baking tray return to the oven to heat through and lightly crisp, about 20 minutes. Then transfer into a serving bowl and add cheddar cheese and top and enjoy it. 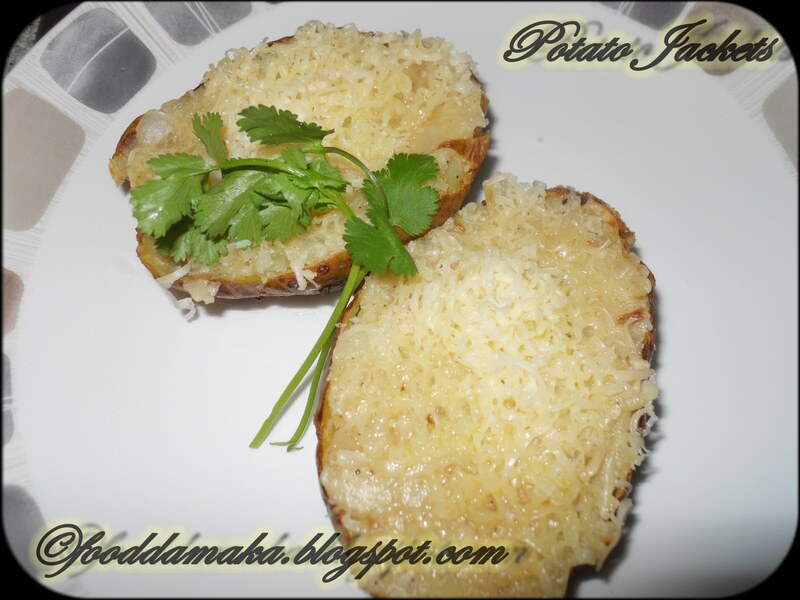 Looks soo cheesy and incredible potato jackets..
Lovely potato jackets, extra cheesy n classic recipe pavani. Cheesy n scrumptious looking! YUM! 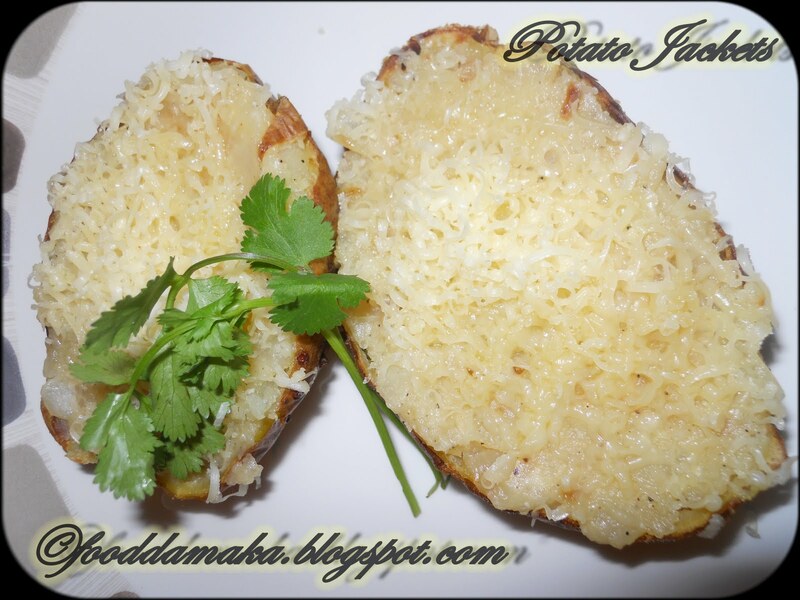 Potato is my daughter's fav that too with cheese,sure she like it…will try. Love this cheese tasty potato no wonder they become kids favorite. yummy potato jackets..never seen this before..
wow potato jackets looks delicious !!! i shd def try it so good..